The world's largest particle accelerator, the Large Hadron Collider (LHC) was first switched on in 2008, and despite concerns, it has yet to bring about the destruction of the world. It has, however, successfully collided a whole lot of particles. Now The Verge reports that data for about 250 trillion of those particle collisions have been made available online. The newly published information from the European Organization for Nuclear Research (CERN) comprises about 2.5 inverse femtobarns of data, on close to half the experiments run through the LHC's CMS detector in 2011. That sounds like a lot for the casual physics enthusiast to sift through, but the scientists at CERN were kind enough to present the data in an approachable package. The "simplified datasets" don't require a large amount of computing power to handle, and they're designed to be read by students at the high school or college level. 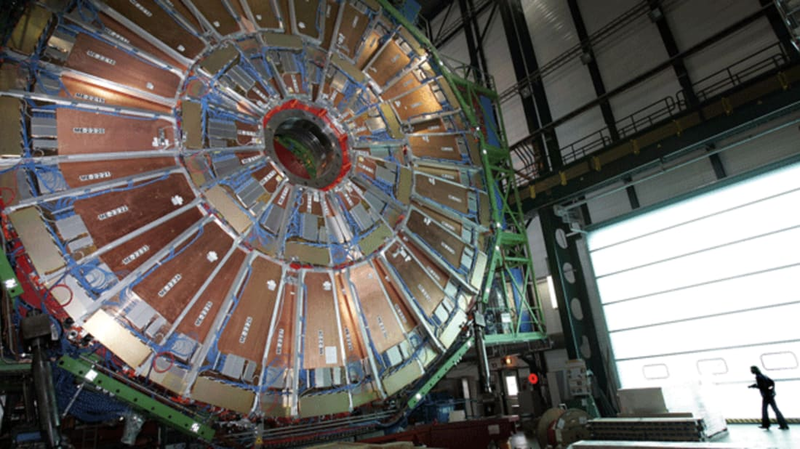 For people with a deeper understanding of the science at hand, the primary datasets originally studied by CERN researchers are downloadable as well. By releasing this data to the public, CERN hopes to inspire a new generation of particle physicists while preserving their research for years to come. The data can also be used by other experts in the field to catch information that CERN may have missed on their first go-around. The datasets, as well as a virtual modeling tool you can use to visualize them, are both available online. And if you're looking for an even more intimate look at what goes on inside the LHC, you can take a 360-degree tour here.